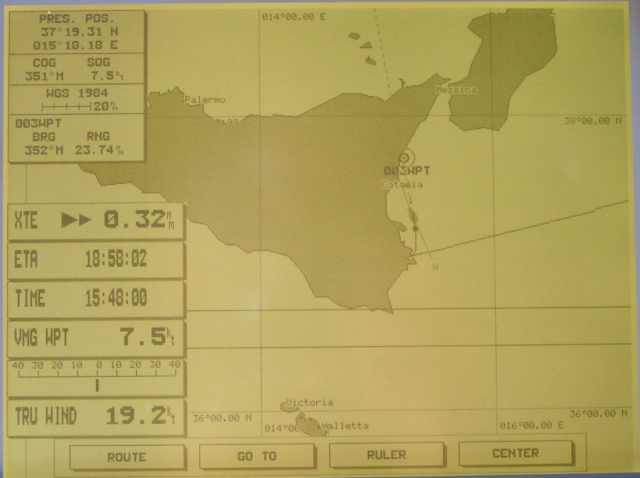 Another screen capture of the chartplotter. 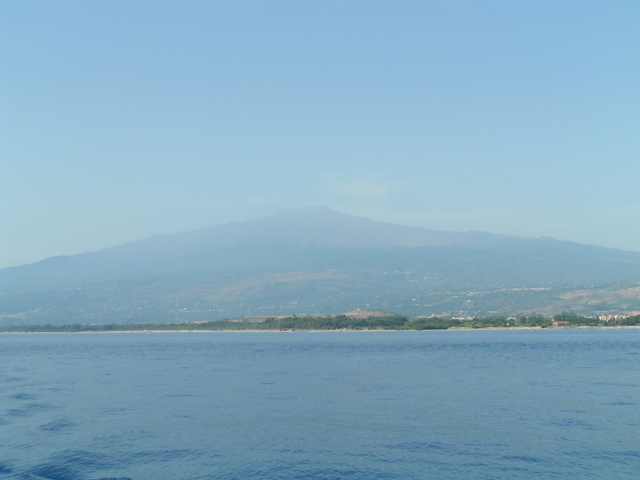 This was a wonderful lively sail to the foot of Mount Etna. 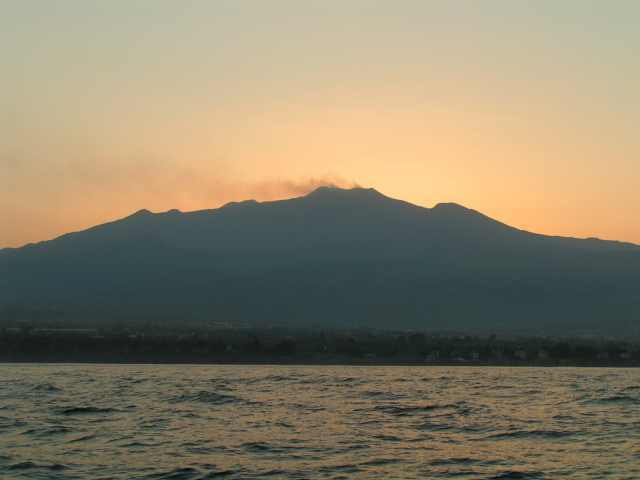 Smoking, Mount Etna welcomes us as we prepare to anchor for the night. A hazy morning warmed the fertile slopes of this famous landmark. 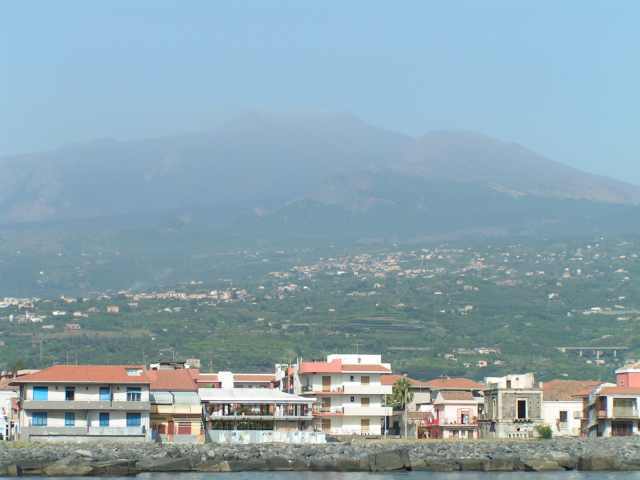 We soon made preparations to be on our way to the Straits of Messina. We had calculated the tide and decided that if we had made a mistake and found contrary current, we would stop in Taormina. Heading for the Straits of Messina. Ciao Etna!